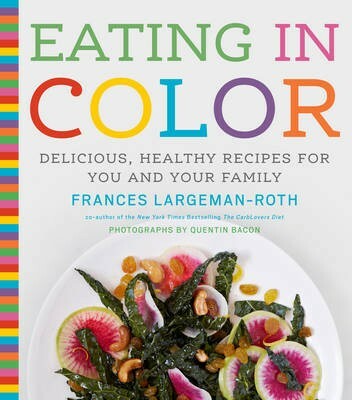 In Eating in Color, registered dietician and best-selling cookbook author Frances Largeman-Roth offers home cooks an accessible plan for utilising the colour spectrum to create an eating plan that brings more vividly-coloured food to the table. Rather than preaching a strict vegan or vegetarian lifestyle, her plan is all about eating well while eating healthy. Eating in Color showcases the colourful, delicious foods that have been shown to reduce the risk of heart disease and stroke, some cancers, diabetes and obesity--beetroot, avocado, tomatoes, kale, farro, blueberries and more. Largeman-Roth provides clear instructions for how to prepare each ingredient, how long each fruit or vegetable can be stored without losing its freshness and what its special nutritional features are.